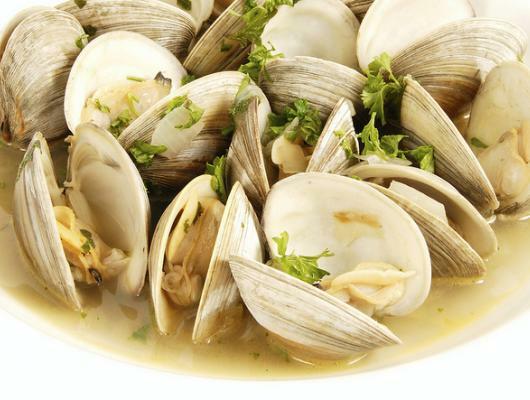 Place the clams in a large bowl of cold, salted water for 30 minutes to remove any sand. Drain and rinse, gently brushing clam shells to remove any grit. In a large, covered pot, heat water to almost a boil. Add tea bags and allow to steep for 3-5 minutes. Thoroughly squeeze tea bags into pot and discard bags. Add the parsley stems into pot with tea. Add garlic to pot and bring to a boil. Add clams, in their shells, cover and continue to boil, allowing the clams to steam open. Once they are opened (approximately 3 minutes), use a large, slotted spoon to remove them and place in a bowl. Discard any clams which do not open. Using a mesh colander, strain the steaming liquid into the bowl with the clams. Chop parsley leaves, and toss over the clams. 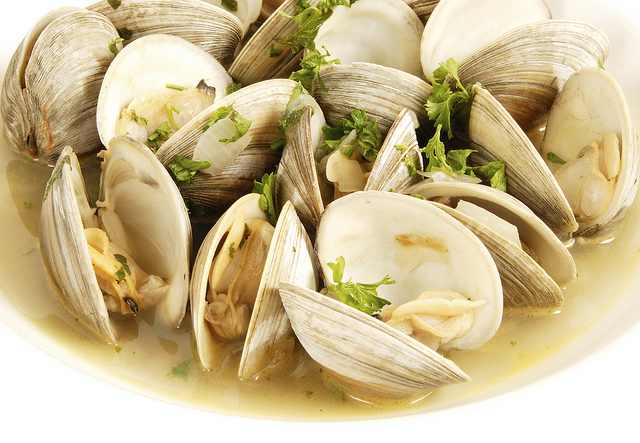 Bigelow® I Love LemonTM Herbal Tea is a wonderful, healthy steaming liquid for Littleneck clams. When embellished with garlic and fresh parsley, it also becomes a flavorful broth you'll want to soak up with some good crusty bread!